Detect virtualized OS from an application? I need to detect whether my application is running within a virtualized OS instance or not. I've found an article with some useful information on the topic. The same article appears in multiple places, I'm unsure of the original source. VMware implements a particular invalid x86 instruction to return information about itself, while VirtualPC uses a magic number and I/O port with an IN instruction. This is workable, but appears to be undocumented behavior in both cases. I suppose a future release of VMWare or VirtualPC might change the mechanism. Is there a better way? Is there a supported mechanism for either product? Similarly, is there a way to detect Xen or VirtualBox? I'm not concerned about cases where the platform is deliberately trying to hide itself. For example, honeypots use virtualization but sometimes obscure the mechanisms that malware would use to detect it. I don't care that my app would think it is not virtualized in these honeypots, I'm just looking for a "best effort" solution. The application is mostly Java, though I'm expecting to use native code plus JNI for this particular function. Windows XP/Vista support is most important, though the mechanisms described in the referenced article are generic features of x86 and don't rely on any particular OS facility. Have you heard about blue pill, red pill?. It's a technique used to see if you are running inside a virtual machine or not. The origin of the term stems from the matrix movie where Neo is offered a blue or a red pill (to stay inside the matrix = blue, or to enter the 'real' world = red). The function will return 1 when you are running inside a virutal machine, and 0 otherwise. dmidecode is a tool for dumping a computer's DMI (some say SMBIOS) table contents in a human-readable format. If it return Microsoft, vmware & etc.. then its probably a virtual server. VMware has a Mechanisms to determine if software is running in a VMware virtual machine Knowledge base article which has some source code. The RHEL bugtracker has one for "should set ISVM bit (ECX:31) for CPUID leaf 0x00000001" to set bit 31 of register ECX under the Xen kernel. So without getting into vendor specifics it looks like you could use the CPUID check to know if you're running virtually or not. No. This is impossible to detect with complete accuracy. Some virtualization systems, like QEMU, emulate an entire machine down to the hardware registers. Let's turn this around: what is it you're trying to do? Maybe we can help with that. I think that going forward, relying on tricks like the broken SIDT virtualization is not really going to help as the hardware plugs all the holes that the weird and messy x86 architecture have left. The best would be to lobby the Vm providers for a standard way to tell that you are on a VM -- at least for the case when the user has explicitly allowed that. But if we assume that we are explicitly allowing the VM to be detected, we can just as well place visible markers in there, right? I would suggest just updating the disk on your VMs with a file telling you that you are on a VM -- a small text file in the root of the file system, for example. Or inspect the MAC of ETH0, and set that to a given known string. Under Linux, you can report on /proc/cpuinfo. If it's in VMware, it usually comes-up differently than if it is on bare metal, but not always. Virtuozzo shows a pass-through to the underlying hardware. I'd like to recommend a paper posted on Usenix HotOS '07, Comptibility is Not Transparency: VMM Detection Myths and Realities, which concludes several techniques to tell whether the application is running in a virtualized environment. For example, use sidt instruction as redpill does(but this instruction can also be made transparent by dynamic translation), or compare the runtime of cpuid against other non-virtualized instructions. Try by reading the SMBIOS structures, especially the structs with the BIOS information. In Linux you can use the dmidecode utility to browse the information. Check the tool virt-what. It uses previously mentioned dmidecode to determine if you are on a virtualized host and the type. 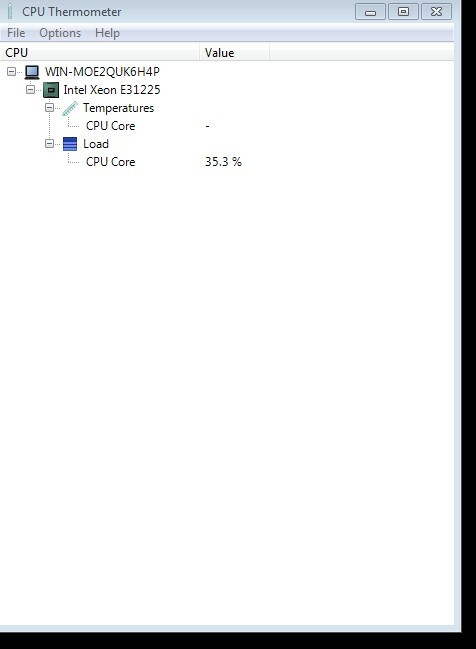 I Tried A Different approach suggested by my friend.Virtual Machines run on VMWARE doesnt have CPU TEMPERATURE property. 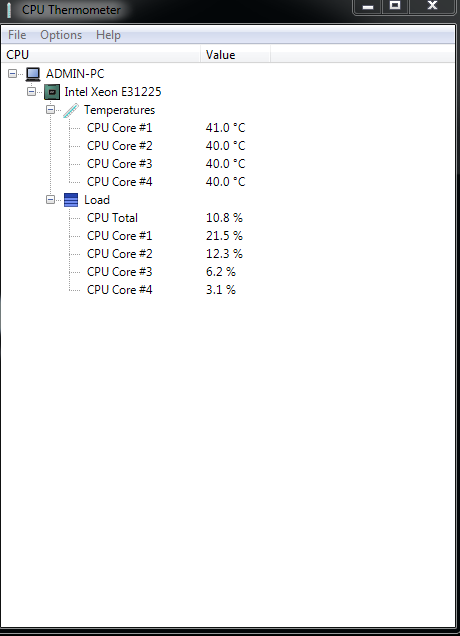 i.e They Dont Show The Temperature of the CPU. I am using CPU Thermometer Application For Checking The CPU Temperature. cout << "Failed to initialize COM library. Error code = 0x"
return 1;                  // Program has failed. cout << "Failed to initialize security. Error code = 0x"
return 1;                    // Program has failed. cout << "Failed to create IWbemLocator object." << " Err code = 0x"
return 1;                 // Program has failed. // to make IWbemServices calls. cout << "Could not connect. Error code = 0x"
return 1;                // Program has failed. cout << "Could not set proxy blanket. Error code = 0x"
return 1;               // Program has failed. cout << "Query for operating system name failed." << " Error code = 0x"
return 0;   // Program successfully completed. On linux systemd provides a command for detecting if the system is running as a virtual machine or not. You don't need to run it as sudo. Not the answer you're looking for? Browse other questions tagged vmware virtualbox virtual-pc xen or ask your own question. How can I tell if I'm running in a VMWARE virtual machine (from linux)? How do I detect Xen in a Python script? VB6 or VBScript code to detect if running on VMware or Virtual Machines? Whats the best way to get started with server virtualization? How does dynamic recompilation handle instruction-pointer checks in software virtualization?